I work as a content and search strategist for pharmaceutical marketing company yet this isn’t a post about pharmaceutical marketing. If this happens, it would follow suit that SEO firms and larger search engines like Google would have to begin to play ball in the way of offering ISP fees with packages and, most importantly, paying for access on the basis of speed for better site performance and usability. At the current time the Internet acts, functions, and serves the general public as a utility and is, importantly, protected as such. If the FCC goes through with their current proposal, the protection is removed significantly altering for the worse, how people, patients, HCP’s, doctors, finds useful information online. The lifting of regulations will usher in an Internet of pay for play rather than what it was designed to be, a democratization of data. 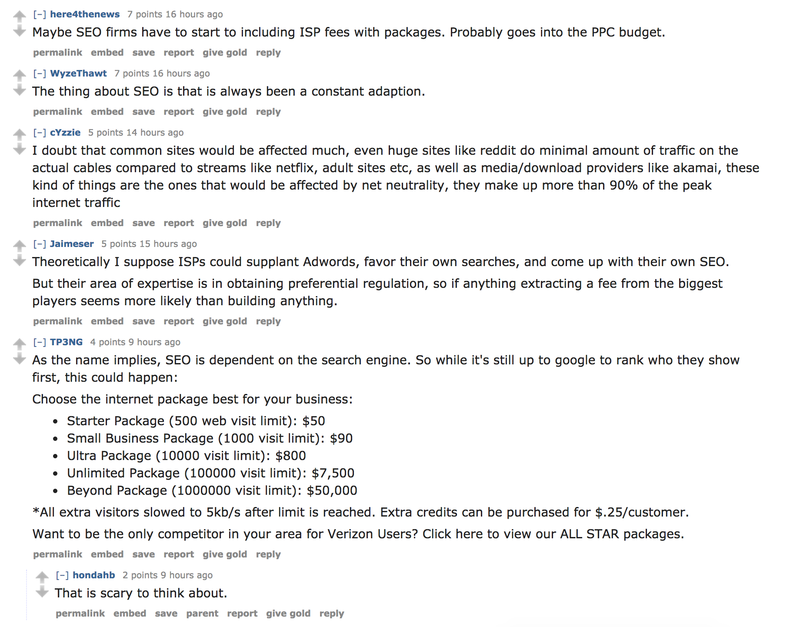 Via Reddit — What Happens to SEO in the USA if Net Neutrality is Repealed? The impact of this change on natural search will most likely continue the ongoing trend of providing useful information to user queries before they land on a given website. This trend, shown within a Google Knowledge Box (as noted earlier, position zero), will continue to work against any and all websites which do not deliver optimal content matched to user search intent queries. Search engines will continue to disseminate the content on your site and post it in the SERP, as a knowledge box. Look at the most recent mobile product updates by running a search for “google home”. The practice is already well on its way to masking the natural organic rankings. We will watch the search engines pay for access, (why not, since site speed is a rankings factor) and we will all watch Internet Explorer pace forward as the default that just won’t die. If sites begin to suffer and bounce rates increase as a response, then the machines will learn that users are not easily finding a proper fit to their query. The rinse & repeat search patterns will present the need for information to be shown before the visitor hits the site. It is time to brush up on your Schema and consider getting scrappy for that Zero position. — Reddit, What Happens to SEO in the USA if Net Neutrality is Repealed? The solution to this, as noted, is a larger reliance on Schema markup (structured data) with the stated effort of rising to position zero. For all pharmaceutical providers and marketers looking to drive as much organic traffic → conversions, if Net Neutrality is lifted, a direct shift in your organic traffic strategy needs to take place to account for position zero ranking efforts. Should SEO’s and content strategists already be thinking about position zero rankings, structured content, search intent, and deep linked conversion landing pages mapped to user queries? Without question. 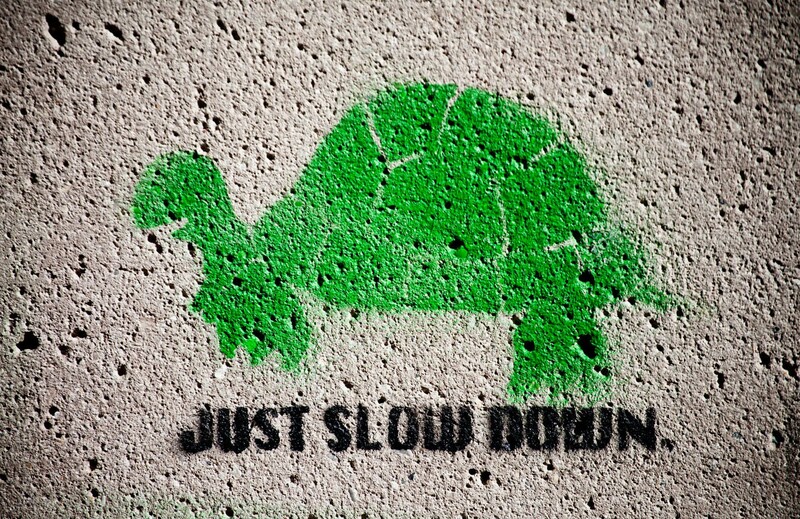 Will the lifting of Net Neutrality force the issue to adversely impact traffic across the web to countless sites due to imposed bandwidth throttling? Without question. In summary, if what the FCC has put forward passes, it is time to rethink how search across the Internet works and how marketers, pharmaceutical or not, leverages those changes to their benefits. Brad Yale can be reached for comment at byale@thebloc.com. He is a search and tech nerd. It goes without saying, he hopes the FCC does not lift Net Neutrality regulations. Nerd at heart. I write about health, tech, data, search and content.